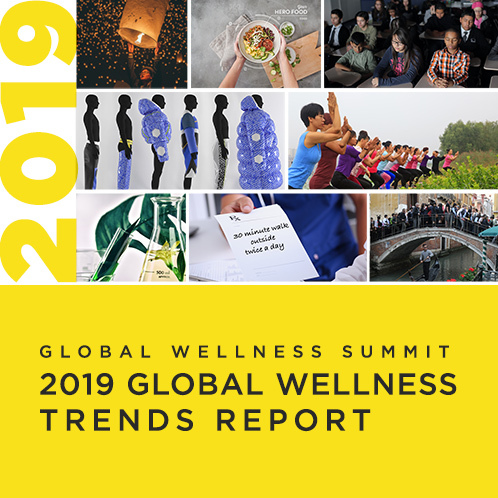 Miami, FL – April 3, 2019 – The Global Wellness Summit (GWS), the foremost gathering of international leaders in the $4.2 trillion global wellness economy, today announced its 2019 theme, “Shaping the Business of Wellness: Asia.” The agenda will focus squarely on emerging business and investment trends across all global wellness markets, with attendees hearing from high-profile industry experts on where wellness is headed. And because you can’t understand the “future of wellness” without understanding its fastest-growing market, Asia, the conference will put a powerful spotlight on Asia’s explosive wellness markets and the new leaders driving the growth and innovation in the region, while analyzing the opportunities and challenges of doing business there. The 13th annual Summit takes place at the Grand Hyatt Hong Kong from October 15–17, 2019. The GWS announced a key conference topic: the future of tourism, hospitality and wellness travel, with a keen focus on how Asia will rewrite the travel market as we know it. The stats are overwhelming. Outbound Asia-Pacific travelers suddenly represent 37 percent of the world’s total (UNWTO) with international travel spending doubling in the last decade (APAC). Asia-Pacific is also the world’s fastest-growing inbound travel market (now ranking second only to Europe). Consider tourism-transforming China: Outbound trips grew 20-fold since 2000; the Chinese are the world’s biggest travel spenders ($258 billion annually, well ahead of the US at $135 billion); Chinese travelers will represent 30 percent of the entire international travel market by 2030; and China will become the world’s #1 travel destination by 2030, dethroning France. Asia-Pacific is also, by far, the fastest-growing wellness tourism market: Wellness trips jumped 33 percent in the last two years (China, India, Malaysia, the Philippines, Vietnam and Indonesia all clocked 20+ percent annual gains)—and the market will essentially double from 2017–2022: from $137 billion to $252 billion. Today, the Summit announced five heavy-hitter keynote speakers who will tackle the future of travel, hospitality and wellness, and Asia’s outsized role in that future. Graham Earnshaw is publisher of China Economic Review and Spa China and former Reuters editor-in-chief for Asia. He has been president and editor-in-chief of Xinhua Finance Media Limited since 2006. His books, including The Great Walk of China, paint a portrait of a nation coming to terms with its place in the world. An expert on Asia’s business and economic landscape, he will outline the hard truths and real opportunities of doing business in China—and what that specifically means for the businesses of wellness and travel. Neil Jacobs is CEO of Six Senses, the global luxury brand that redefined hospitality through a wellness and sustainability lens, with award-winning resorts and spas across Asia, Europe, the Middle East and the Americas. The creative brand to watch in wellness travel, Six Senses has won countless awards, such as being named Top Hotel Brand in the world by readers of Travel + Leisure. Neil recently oversaw the acquisition of the company by global hotel powerhouse IHG for $300 million, which should grow the portfolio to 60 properties over the next decade. He’s the former president of the Hotel Group at Starwood Capital and former Sr. VP of Operations, Asia-Pacific, for Four Seasons Hotels & Resorts. He will present on shifts underway in wellness travel. Chavalit Frederick Tsao is founder of Octave Institute, and president of the Family Business Network (FBN) Pacific Asia chapter. Fred, over the last 24 years, has transformed IMC Group from a traditional shipping company to a multinational conglomerate with diverse interests, including Octave, a sustainable living lifestyle and real estate group, which includes the properties The Living Room Shanghai and Sangha Retreat by Octave Institute in Suzhou, China—that uniquely blend eastern wisdom and wellness with western science to transform guests. He will explore the connection between business and human wellbeing, offering a roadmap to a thriving, sustainable business. Mei Zhang, a Chinese native with an MBA from Harvard Business School, founded WildChina in 2010, a sustainable travel company that provides a sophisticated view of Chinese nature and culture through unique, authentic, high-end experiences. Her company is considered the gold standard for luxury travel in China and has won numerous awards, such as being named Best Adventure Travel Company on Earth by National Geographic Adventurer. In 2015, she launched NewUGo, an Airbnb-style platform where travelers can match with locals to experience aspects of their daily lives—whether collecting honey with a mountain chief or learning songs from a Miao folk singer. She will keynote on provocative, new wellness and sustainable travel trends in China. The Global Wellness Summit is always a sell-out event—apply here.